Ground Cherries, also known as cape gooseberries, are little orange fruits inside an attractive paper wrapper. The fruits fall from the plant when ripe, that’s why they are called Ground Cherries. Other than the shape and size of the fruits they have nothing common with cherries. 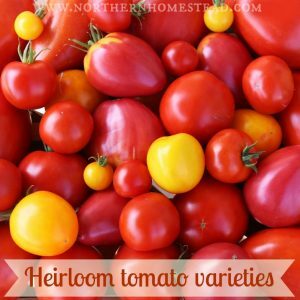 They are actually a part of the nightshade family, like tomatoes, peppers, and eggplant. Ground Cherries have a very unique, delicious tropical taste, very sweet and a bit like pineapples. 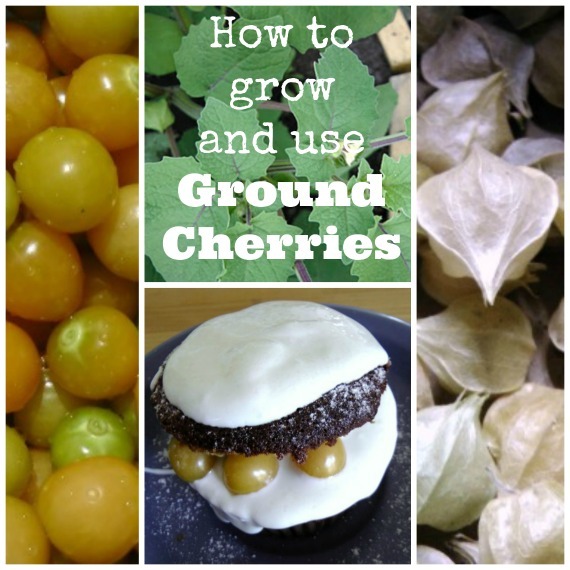 Here is how to grow and use ground cherries. In Canada, the Aunt Molly’s Ground Cherry variety is the most popular because it does well in cooler climates and matures faster than other varieties. Ground Cherries require full sun and fairly warm to hot temperatures to grow, very much like tomatoes and peppers. Ground Cherries are easy to grow from seed but need an early start (at least 8- 10 weeks before the last frost day). 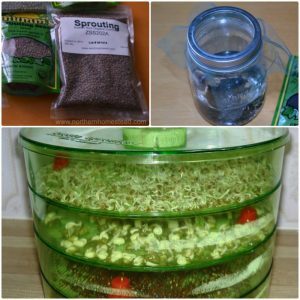 Read here how to start seeds indoors. They mature 60-65 days after transplanting. Ground Cherries are a nice looking plant, you can plant them in a flower garden close to the house, in a sheltered and sunny location. 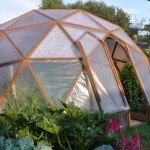 Or if you have a greenhouse, they will do even better in there. 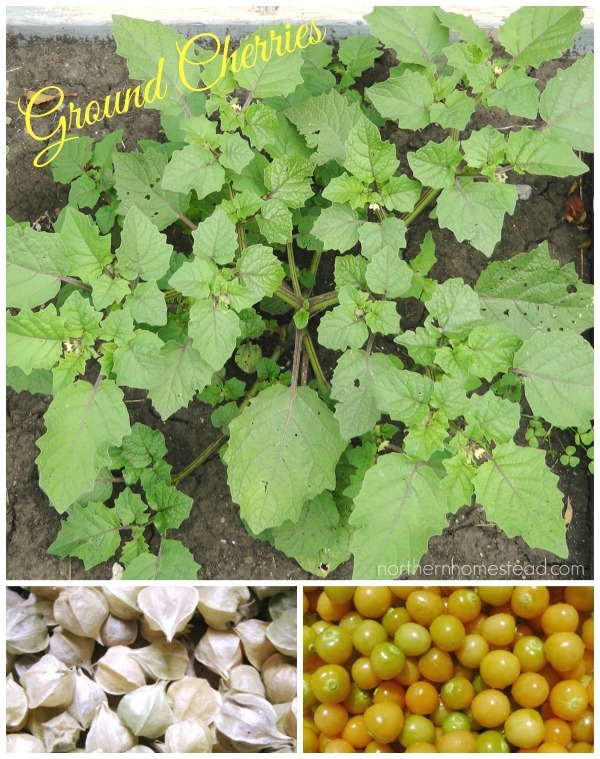 Ground cherries need about 2 – 3 square feet of space. They grow up to 2 feet tall but do not need support. 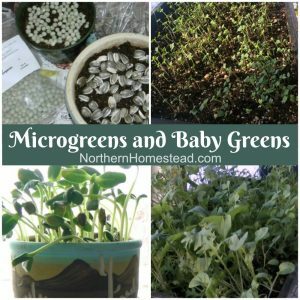 You can grow them in a pot or a grow bag, too. Ground Cherries tend to reseed themselves. In our cold climate though they come up very late, too late to mature. Ground Cherries are ready to harvest when the wrap has changed color from green to yellowish white. At that stage, the cherry will be very easy to pick and even often fall to the ground. However, if the growing season is over and the first heavy frost is in the forecast, but some of the wraps are still more green than yellow, harvest them anyway. Ground cherries do after-ripen indoors, just like tomatoes. To store ground cherries you need a dry, dark place, not necessarily cold. We store ours in a cardboard box in the basement furnace room. This picture was taken at the end of January when I used the last ones. They do get a little wrinkly but tasted just as good. Ground Cherries can just be eaten raw or they can be used in preserves, pies, or on ice cream. They are a beautiful, sweet treat. Our favourite way to use ground cherries is Ground Cherry piroshki. Piroshki, also translated as pirozhki or pyrizhky, is a generic word for individual-sized baked or fried buns stuffed with a variety of fillings. Make the buns dough recipe and fill them with a handful of ground cherries and a tablespoon of 2 to 1 sugar flour mixture. Close tightly and let rise for about 30 minutes. Bake just as you would the buns. Yum! 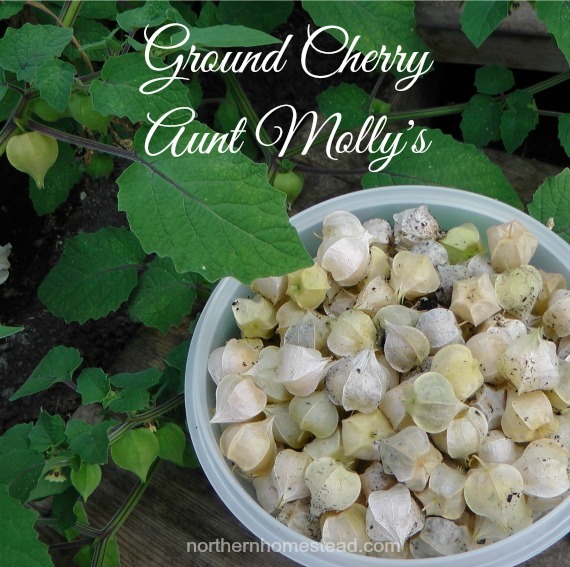 Grow Aunt Molly’s Ground Cherry if you have not yet! Thanks Anna for posting this info on ground cherries. Will have to try these some day. Your welcome Esther, Ground cherries are something you might like very much or dislike very much, because of there unique taste. But they always look nice. I will have to try to grow ground cherries this summer. Thank you for posting…I was hoping they would reseed themselves. 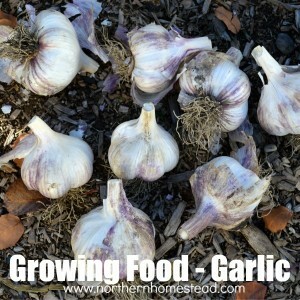 …I grew them in two pots last summer.. Your welcome, hopefully you have more luck to grow them next year. Great post! Pinning it for later. I can’t wait to get my garden started! Me too! Do not wait to long though with starting ground cherries. 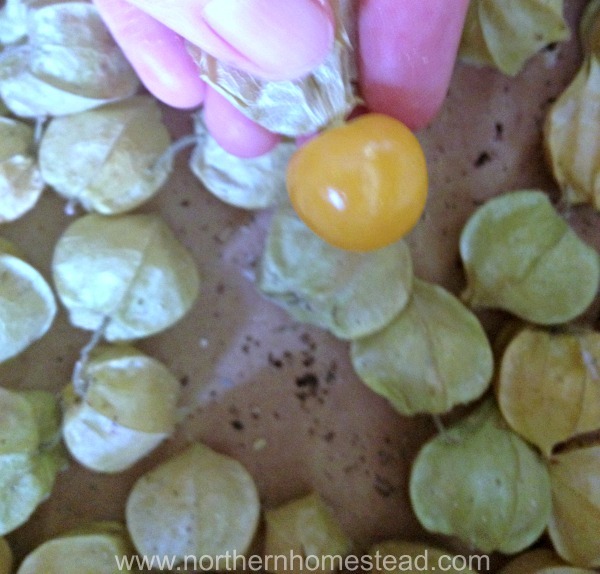 I had never heard of ground cherries until I read this post! I would love to grow these. Should I look for Aunt Molly’s or something more suitable for the south (zone 8)? Aunt Molly’s are yummy, but any would grow in zone 8. Be aware also, in zone 8 you will have to plant them once, they will reseed themselves every year. So choose a spot you want to have them forever :). I’ve never had any ground cherries, actually! Do you think they would grow in Florida? Well, they look great….don’t mind the wrinkly! Actually, I have never heard of those little things before. I am surprised how many people have never heard of them. Yes, the wrinkly look is ok if considering this was Christmas ;). Months after harvesting them. Picked up a package of ground cherry seed for something new to try for season 5 (2014) at the Toy Box. When the seed came I wondered, now what? No idea how to grow these or what to do with them (the power of a good catalogue description!). Now I have an idea, Thanks! Debs…..on her way to repost. Glad you got the seeds and know now what to do with them. Growing up we always grew ground cherries, we cold them June cherries, because they were early. I will have to give these a try. 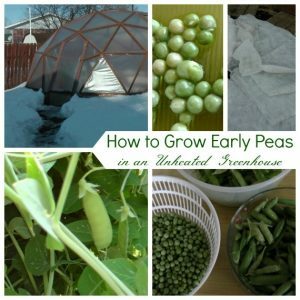 I’d attempted them before, but my seed was old and didn’t sprout. I guess here in FL zone 9 I should only have to plant them once then they should keep producing. Yes, that is true, they will come reseed themselves year after year. Happy gardening! I’m growing Aunt Molly’s Ground Cherries for the first time here in the mountains of NH. I have them started already (this weekend) and just need to figure out where I’m going to plant them out. I’ve been wanting to grow them for years. 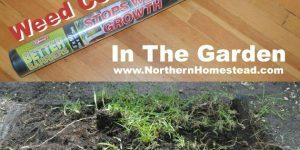 I am honored to be co-hosting the Green Thumb Thursday Blog Hop beginning this week and I have chosen this post as my Featured Post. 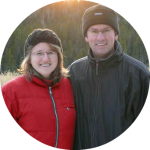 You are welcome to swing on by and grab the “Featured” button to add to your blog. Thank you for featuring it! Ground cherries like it warm, but we do grow them here (Alberta). 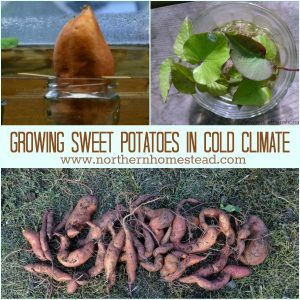 It is cold here, so they grow better in a greenhouse, but on good summers they ripen outside too. It should be possoble where you are. Try it! Oh, so sorry. I have no idea, never heard of it. The only thing I can think of is keeping the soil healthy, so healthy plants can grow. 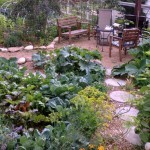 Try to add some more compost and mulching. Worms and other parasites do not like healthy plants. Can you share your recipe for ground cherry piroshki? I would love to try it with the wild ground cherries we have growing here in Maine. I use the same dough as the dinner rolls and form the rolls first, than I put about a tablespoon of 2 to 1 sugar flour mixture and a hand full ground cherries in it, close and bake for 20 minutes. Enjoy! 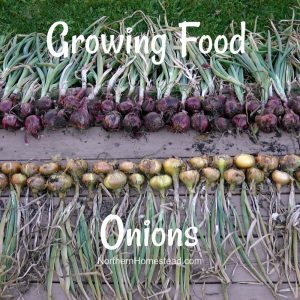 These are so cool…..I need to try growing these this year! 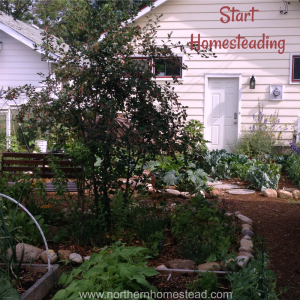 Thanks for linking up again with Green Thumb Thursday! I hope you’ll join us this week! Please do, hope you like the yummy fruit. I had my first successful season with these last year – started a few indoors and getting ready to plant them outside this weekend…..in the pot they were in last year there is a ton of stuff coming in – I “think” it is the re-seeding of the ground cherries – but they look so different from the seedlings that I planted – does that make sense? Should they look different? No, they should look the same. Maybe something else seeded itself in your pot. I find that the reseeded Ground Cherries come up really late (at least here in Zone 3). I bought ground cherries and planted them on the 7th of this month and they are not coming up. I live in Minnesota and the weather is nice and warm now. I had heard that they do not do well in the northern states, is that true?. 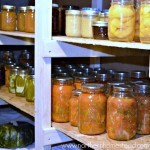 Will I reap any harvest at all this year?. Are there any kinda that work great in the northern regions?. Hi Sharalyn, I do not want to disappoint you, but if they are not up yet, you most likely will not reap any harvest this year. Still you may learn a lot and be better next year. 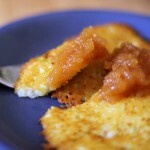 Aunt Molly’s Ground Cherry are good for the north. But any Ground Cherries need to be started early indoors to have fruit in northern climate. To grow Aunt Ground Cherries is a lot like growing tomatoes or peppers. But who knows, if it is warm now and will stay warm for a while, you might be surprised with some cherries. I weeded the other day and found five in my garden. I am super excited. However the small garden next to my house is not doing so well, but I didn’t put enough effort into making sure the soil was amazing because I decided to do it short notice. If I have five that have sprouted already, would it be safe to purchase the Aunt Molly’s and plant right away when I get them to include in this harvest this year,or should I just wait till next year?. Last question too, if all of my five ground cherries bare fruit, what do you think I am looking at for fruit quantity,like for one plant,how much can you normally get fruit wise?. My initial goal was to have enough to make some jams. Thank you. Oh good, that you have some ground cherries now. 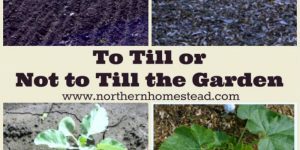 I would not seed any for this year anymore, except if your season is very long. It is hard to tell how much you would harvest from one plant. I would say maybe 3 cups if the plant grows well. But do not pin you down to that. Agree, you have to start them early indoors. Glad to hear yours are doing so well. So glad you posted in this, I grew several plants in my greenhouse, but they don’t seem to be ripening, and even those that fall are still green inside. Can I pick them and let them ripen indoors? Thanks in advance for any advice about this, don’t want to lose all my cherries! ???? Hi Tina, I would NOT pick them before they are yellow, wait till they fall (if all of them do). Normally they only fall when done. Maybe you have a green variety? Anyways, I do not pick them, just gather the ones that are done (Or at least have a good size). And yes, I do find that they ripen indoors. Hope this helps. First time growing ground cherries, love them! My friend gave me some ground cherries in the husks, still. What’s the best way to plant them? 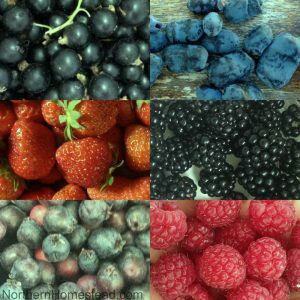 Should I plant the whole fruits directly in the ground right now, or should I take the seeds out and save them for when it’s closer to Spring? Forgot to mention I live in Wisconsin. Suppose that’d be a helpful bit of info! It totally depends on your weather. If you have long warm summers, you can plant now and they will come whenever the weather is right. However, if your summers are short, it is better to start them inside, just like you would start tomatoes. Otherwise they will not ripen before the season is over. Hope this helps. Goooseberry jam on a bran muffin is heavenly. I have a large bush in my garden (cape Town). That sounds so yummy! My still need to come up for this years garden. What is the best way to germinate ground cherry seeds? The seeds are very small, so I haven’t tried to sprout the seeds first. I just plant them and wait. It takes some time. My seeds are up and in third leaf (they germinated beautifully with bottom heat). Since it’s time t transplant them, I’m just wondering if there should be a few seedlings per 4″ container (for now) or one per container? Are they finicky to transplant? I have about 15 plants, so I am going to try half in my greenhouse and half in my full sun Alberta garden!! 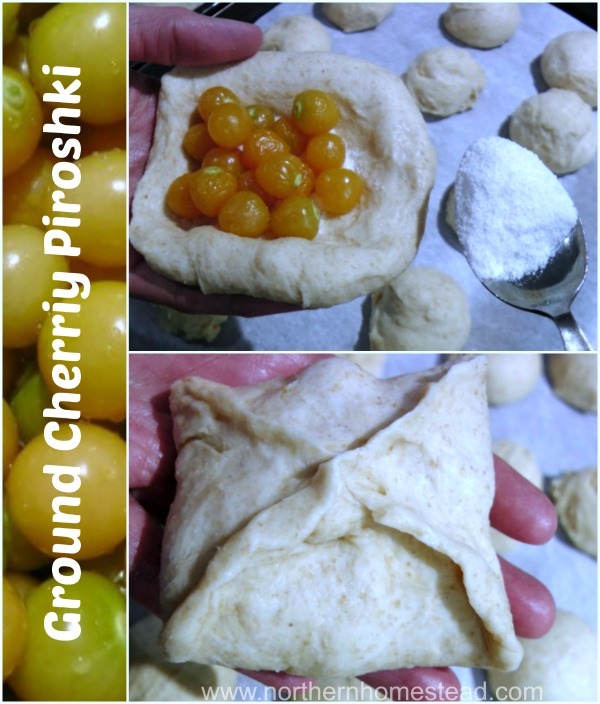 By the way, I can’t wait to try your ground cherry piroshki recipe! I would plant one per container. These plants do get big. In the greenhouse, they will reside themselves and you will have ground cherries forever ;). We have a lot of ground cherries still on the vine.10/2016. Can we bring the vine into the house to ripen? You can. There is a danger however to bring in lots of bugs too. I usually just pick all those that are full (good size) and let them after ripen this way. I just harvested a few from a neighbor. Im wondering if I should plant them now (fresh) so they will lay dormant until spring, or keep them inside until they dry out and plant them next year?? How fun, you will love them. The planting depends on your weather. 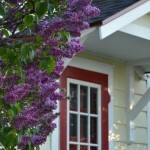 If you you have an early spring and a long growing season, plant them now. If your spring is late, it is better to start the seeds early indoors along with peppers. Thank you for sharing your experience. 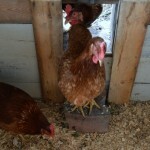 I live at Philadelphia suburb, USDA 6b/7a. If I grow ground cherry, when should I start? 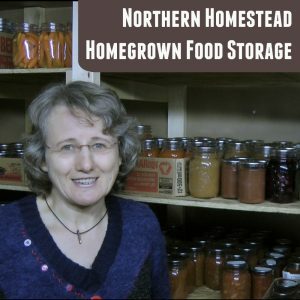 Direct sow seeds or start seedlings-then transplant? Thank you for any advice. Start the ground cherries as you do your peppers. If you can direct sow them you can also ground cherries. Just keep in mind that ground cherries often need more time to germinate. If I would be you, I would try to plant some just before winter, so the seeds can germinate whenever they are ready. Worth a try. Good luck! Hi Anna: Thank you for your advice. 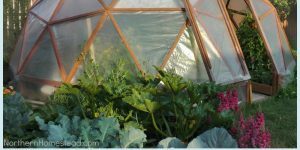 Your blogs and your gardening success in Hardiness Zone 3a are great inspiration to everybody who loves gardening and nature. Just loved your article on ground cherries. I plant some every year, and we always eat them raw. I must try some of your recipes to. Thanks!